As per a recent report by Wall Street Journal, Facebook Inc. (NASDAQ:FB) is eagerly looking into creating its own exclusive video content for its video app, and could soon rival Netflix. The WSJ report goes on to inform us that in addition to the original content, the app will be able to stream content from Apple TV as well as from other over-the-top content providers. Facebook is also considering several genres ranging from sports to science, including pop culture, lifestyle, gaming, and teens. There is no doubt that Facebook has been showing a keen interest in foraying into video, and more particularly, original video content. The social network giant has been working on a video-centric app since last year and has also been looking for programmes to feature on the app. Given that Facebook serves as a great platform for unique mobile and social interactions, we can safely say that Facebook is taking advantage of this and is keenly exploring original as well as licensed content. The move to creating original content for its video app comes off the success of its Facebook Live feature, which allows its users to engage in real-time conversations by broadcasting live video. Further, just about a month back, Facebook hired former MTV executive Mina Lefevre as the new head of development for the company. Facebook Exclusive Content: Taking on Netflix And Amazon? Netflix has been a specialist in streaming media and video-on-demand online. Further, Netflix expanded into film and television production, as well as online distribution in the year 2013. 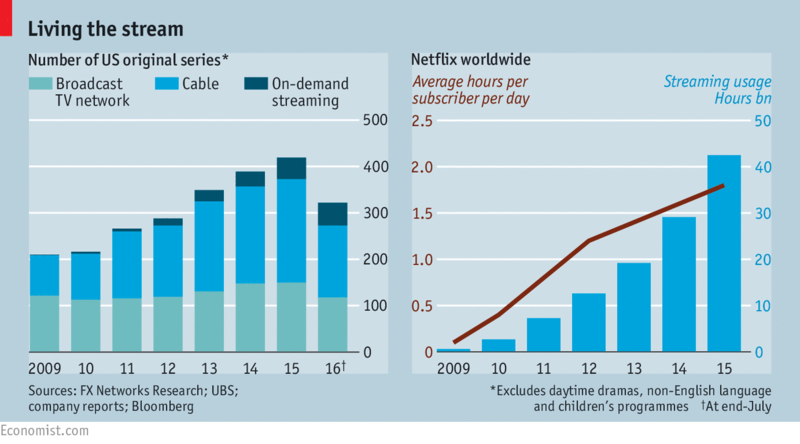 In 2016, the year in which Netflix went global, it had managed to acquire about 19 million new subscribers. While a major player in just the United States, by the end of 2016, Netflix’s international subscribers accounted for about 47% of the company’s subscriber base. It is anticipated that the international subscriber base will overtake the domestic subscriber base this year. Despite Netflix’s unwavering dominance in the online streaming market so far, Amazon Prime has been emerging as the top contender. Also a big investor in original content, Amazon Prime is slowly and steadily emerging as the customer’s choice for online streaming. Amazon Prime’s rise has been credited to its investment in original video content – a model that was in fact pioneered by Netflix themselves. Netflix’s hit original series like House of Cards or Orange is the New Black is seeing competition from Amazon’s hit originals such as Transparent and Man in the Jungle. According to data from Symphony Advanced Media, Netflix’s original shows accounted for nine of the top ten most streamed originals in the year 2016. Not only does this tell us that Netflix still holds the competitive advantage in terms of the quality of its original video content, but also tells us that original video content is a very lucrative market in the online media space at the moment. In the US market alone, annual revenues generated from subscriber-based video streaming (sVoD) are expected to grow by over $6 billion between 2014 and 2020. Facebook’s venturing into original online stream-able content should not come off as a surprise if you consider the trend that the market itself is taking. However, whether or not Facebook’s venturing into the TV space will prove profitable for the social media company is a question that needs answering. Should Netflix Worry About Facebook TV? Facebook seems to be drawing from several of its competitors’ models with regard to video content. While it seems to copy YouTube’s short-form video concept, this focus on short-form videos will distance Facebook from the likes of Netflix, HBO, and cable TV. But however, Facebook is still eyeing the big future that it has for “premium” video on Facebook. Netflix may right now see just Amazon, Hulu, and HBO as its immediate competitors; but looking at the growth trajectories of online video content and the growth of more and more original video content, it seems that Netflix is looking beyond its more traditional competition, and are looking at other potential platforms such as Facebook, YouTube and Snapchat, that could compete with its service. Netflix may, in fact, have to worry about Facebook’s aggressive foray into the TV market. Not only has Facebook been making strides in video content engagement with its users, but has also been able to drive revenue growth from advertising through video. With 1.86 billion monthly active users, Facebook already has an edge over any other internet company interested in showcasing exclusive video content. Video content is the future of Internet, engagement on video content on Facebook is up by 25%. Facebook’s slow but very steady foray into TV from internet video is clearly going to rub shoulders with the likes of Netflix and Amazon Prime. With the help of its dedicated video app, a highly personalised video feed for its consumers, and of course, original content, Facebook may have something on its plate. Mix it with humongous data of users Facebook is tracking every second, we can clearly see and say Facebook is going to make Netflix and Amazon run for their money!